'Chalky teeth' is described as a "silent epidemic" affecting the teeth of 1 in 6 children. A recent study has shown that at least one in six children is affected by ‘chalky teeth’, placing them at a heightened risk of tooth decay. Many of the affected children are losing their adult molars and are on a path to years of expensive dentistry and orthodontics. 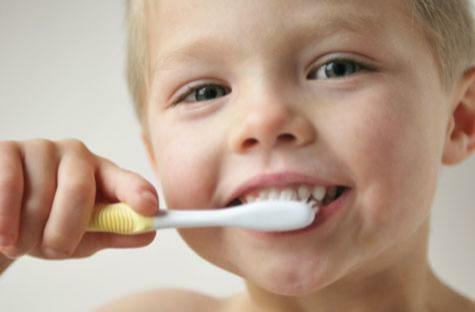 “Parents think they’ve done everything right for their child’s teeth – good hygiene, fluoride and diet. Then they take them to the dentist and amongst a mouthful of healthy teeth are a few bad ones. They want to know what’s gone wrong,” says David Manton, Professor of Paediatric Dentistry at the University of Melbourne. The answer is that some of the teeth were damaged while they were still developing inside the jaw, most likely by a childhood illness. Having chalky teeth results in teeth with abnormally low amounts of calcium mineral, but is not related to a child’s diet, dental hygiene or lifestyle. “In first world countries around 10% of the total health budget goes on treating dental caries,” says Professor Manton. “Ideally, children should have regular dental check-ups from the time their baby teeth first erupt into the mouth and particularly when the child’s adult teeth appear around the age of six”, says Professor Manton. A consortium of dentists and medical specialists has established a website to help parents and health professionals understand more about 'chalky teeth, known as The D3Group. If you or your doctor think that your child may have chalky teeth, check with your dentist promptly.